A short answer to the first question is a resounding “yes” (more later on that). Answering the second, however, is more of a challenge, and really the starting point of this article. The fact is, unless you are a wine expert or have a good understanding of viticulture and winemaking, the answer to this question is downright confusing. Not only are there different levels of “green” (e.g., biodynamic vs. organic wine vs. organically grown grapes), but certification standards and processes vary from one country to another. I first tried to understand “green” wine a few years ago when Chris Tavelli (who has since become my business partner) approached me about opening a “green” wine bar in San Francisco. Though interested in opening a wine bar at the time, I initially scoffed at the idea of dedicating it to organic wine. Aware of my reluctance (or ignorance, actually), Chris arrived at our first introductory meeting armed with facts and practical information on “green” wine. Throughout our meeting, I remained skeptical, but also noticed several names of wineries that I knew (and liked), which featured prominently on his list of “green” wineries. And of course, several years of legal practice (which I was hoping to “escape” by opening a wine bar) compelled me to rush home and research the issue until I fully understood “green” wine. Looking back, I am the first to admit that it was a greater challenge than expected because of the many different standards, techniques and certifications that fall within the purview of “green” wine. Fast forward two years: Chris and I opened Yield Wine Bar, San Francisco’s first and only “green” wine bar, in 2006. We are exclusively dedicated to “green” wine, and often find ourselves explaining the various standards and definitions to our customers. We know firsthand how confusing it is and have decided to sort it out once and for all. So for wine drinkers who want to understand the meaning and benefits of “green” wine, a basic summary (with a slight bias toward California) follows. So, what is “green” wine? 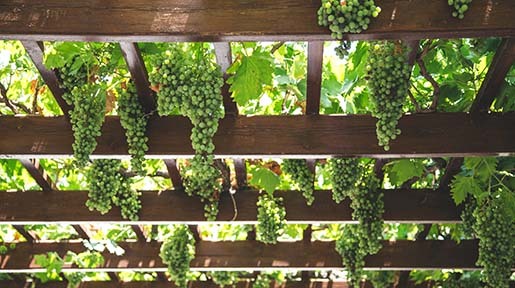 Grapes are grown, picked, crushed fermented and bottled. In very, very basic terms, there are two main stages before a wine makes it into the glass: (1) the farming or “grape-growing” stage, and (2) the winemaking stage -- once the grapes are farmed and picked and the fermentation process begins. 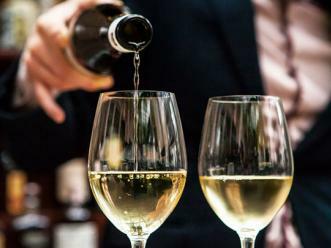 It’s important to draw this distinction because chemicals and additives are often used or added at both levels when it comes to conventional wine, and “green” comes into play at both stages. 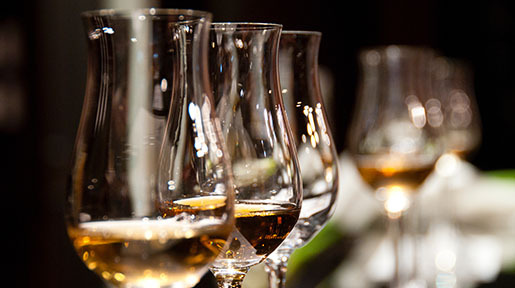 Speaking of conventional wine, for those who have never before heard this term, it is generically describes the manner in which wine has been made in this country for decades – in other words, it is generic for wines made from grapes that are presumably sprayed and that contain additives. It’s the winemakers’ term of choice when contrasting it to “green” wine. Wine drinkers would no doubt be shocked if they had any sense of the sheer amount of herbicides, pesticides and fungicides that can be (and often are) sprayed on grapes, which are thin-skinned and therefore much more susceptible to exposure and absorption, than, say, a watermelon. Studies have shown that residue of many cancer-causing chemicals have been found in conventional wines – chemicals that are not only present in the wine itself, but also permeate the soil and vines, which obviously exacerbates their long-term impact on the environment as a whole. 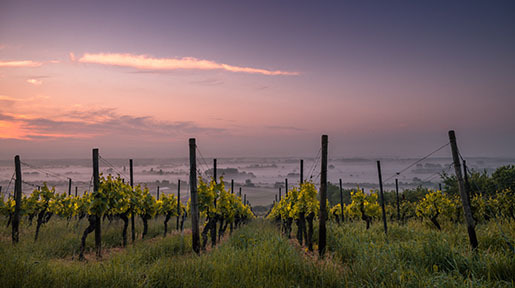 As a result, wineries today around the world are increasingly backing away from chemicals and adopting a more “green” approach to viticulture, though most continue to spray even if not massively. Many wineries — perhaps even as many as one third of California’s vineyards, for instance — are adopting an approach known as “sustainable farming.” Sustainable farming is an umbrella term for a number of environmentally friendly and socio-economically responsible practices. It includes the partial use of organically grown grapes, integration of energy efficient methods of wine production or providing healthcare benefits to all workers, just to name a handful. 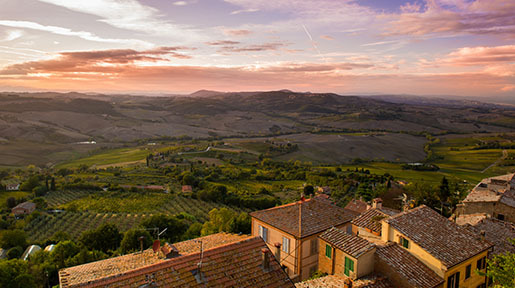 The many practices that are deemed “sustainable” are contained in the Code of Sustainable Winegrowing Practices, and more and more wineries are signing up for this more holistic approach. For purposes of this article (and our wine bar), however, we will consider a wine “green” if, at a very minimum, it is made with organically farmed grapes. Stated as such, it sounds pretty straightforward and all-inclusive. Not so. In fact, there are varying levels of dedication to “green”, as described in Part II, and that’s where it becomes very confusing. Read Part II of this Article, Organic Wine & Biodynamics, here.